On Thursday, 18 December, military prosecutors at Ofer Military Court charged Lina Khattab, 18, Bir Zeit University first-year student in media studies, student activist, and folkloric dancer with El-Funoun Popular Palestinian Dance Troupe, with “throwing stones” and “participating in an unlawful demonstration,” reported Mahmoud Hassan, Director of the Legal Unit at Addameer Prisoner Support and Human Rights Association. Her next hearing will be on Monday, 22 December, at Ofer Military Court. These two allegations, “throwing stones” and participating in an “illegal demonstration,” are charges widely used against all Palestinians who protest the military occupation of their land in an attempt to stop popular protest against military occupation and apartheid. Please click here for the full (updated) alert on Lina’s case! 2. 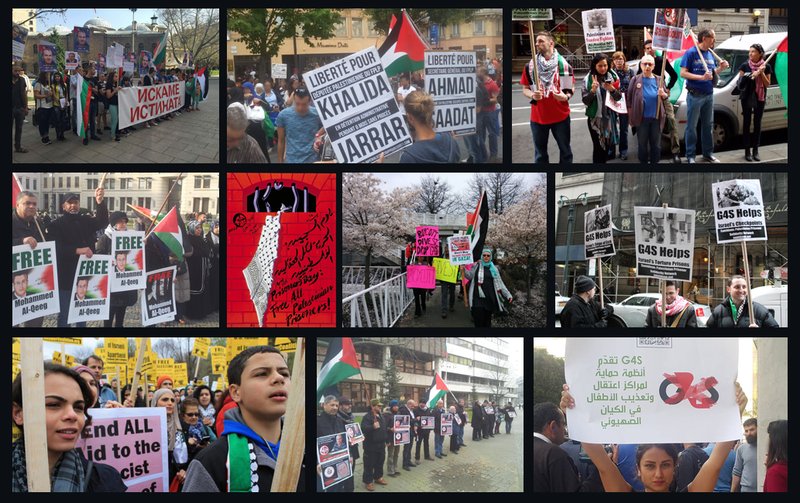 Take action for Palestinian prisoners: protest at an Israeli consulate or embassy, or hold an educational event Palestinian prisoners. Demand the freedom of Lina Khattab and Palestinian political prisoners. Distribute the action alert for Lina Khattab.